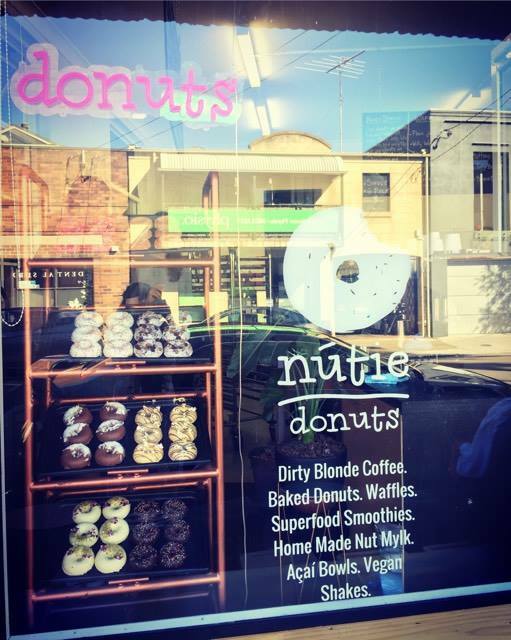 Nutie Donuts started at the Bondi Markets, offering delicious gluten free and vegan donut and baked goods. Now they have made a permanent home on Beattie street, Balmain's newest and hippest donut and coffee shop. 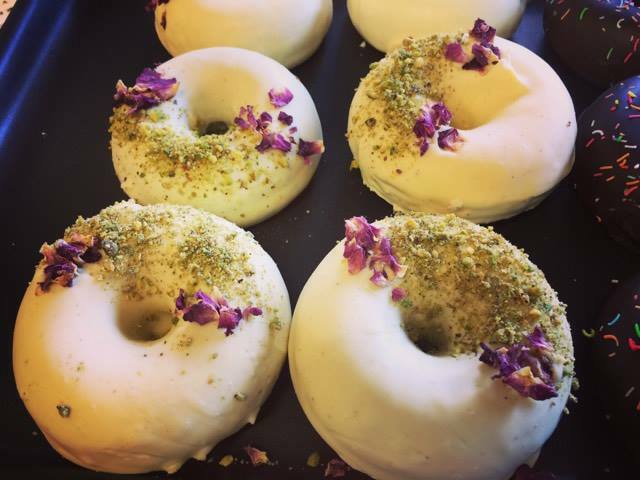 The donuts are made with almond flour and almond milk and I can attest (after sampling a few) they are delicious and moist, you would never know it's a 'gluten free' donut. The staff is incredibly warm and friendly. I had great service every time I went for a donut. My personal favourite is the cinnamon donut, which reminds me of my childhood - I always loved eating cinnamon dusted donuts as a kid. 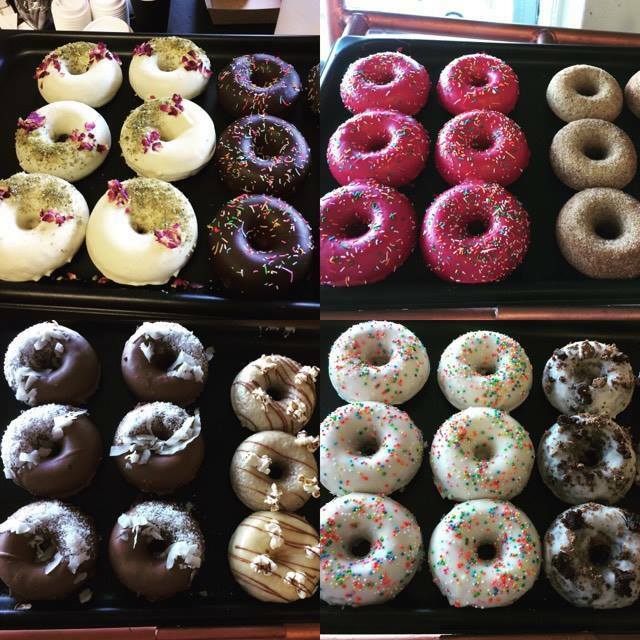 Not only do they offer mouth watering donuts, you can get awesome coffees, vegan shakes and smoothies, acai bowls and other tasty baked goods. I spoke with the owners Sina and Jacques and they shared that all of the items on offer are made with lots of care, love and high quality ingredients. They are refined sugar free and many options are vegan. The rosewater and pistachio donut below is an absolute work of art. 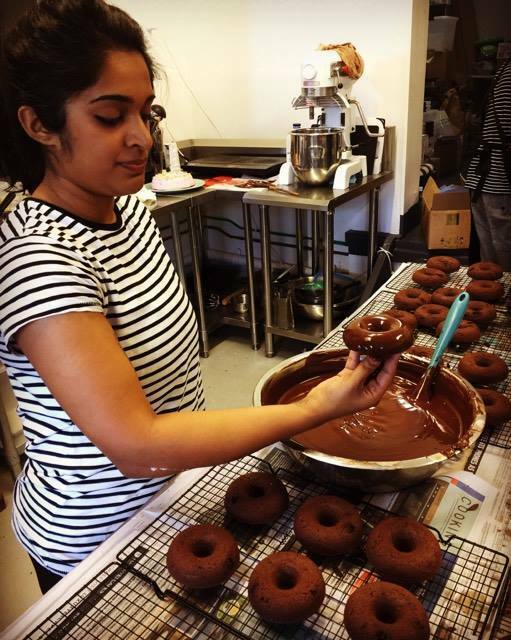 I was able to see the donut artists at their craft, glazing by hand all of the Nutie donuts. If you live in Balmain, you are lucky this gorgeous donut shop is around the corner. 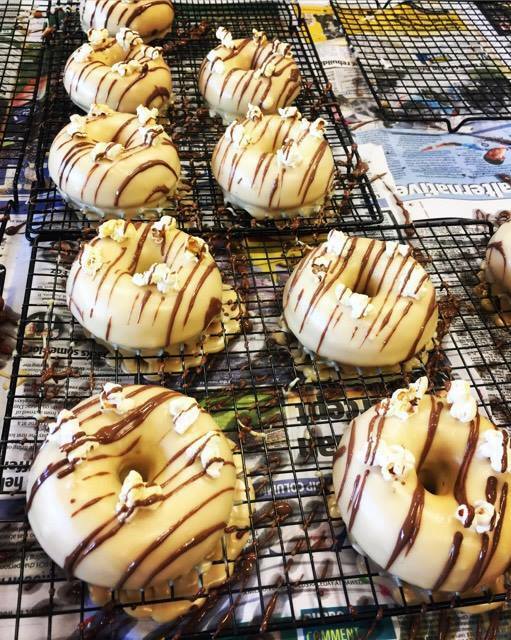 If not, then it is absolutely worth the trip to come try these awesome donuts, you will not be disappointed. There is also plenty of seating at the cafe if you'd like to stay and soak up the inner west Balmain vibe.